SaveaLoonie.com may change this policy from time to time by updating this page. You should check this page from time to time to ensure that you are happy with any changes. This policy is effective from July 2, 2015. SaveaLoonie.com does not take credit for any coupon, offer, contest (not including SaveaLoonie.com contests), freebie that is posted on our website. We solely collect information from a vast amount of sources to deliver fresh new content for our users on a daily basis. We do however take full ownership of our unique articles, price match-ups posted here solely for the use of SaveaLoonie.com visitors. Website owners are prohibited to duplicate our unique articles and pages made solely for SaveaLoonie.com visitors. If website owners steal and/or duplicate our unique articles and/or pages; We have all rights to contact server providers hosting the content aswell as the advertisements being displayed on the duplicated content. If repeat offences; SaveaLoonie.com will contact the website owner directly. SaveaLoonie.com unique articles consist of, newly launched Coupon Price Match-ups, New Couponer, Flyer Resource, Couponing Help Articles, Saving Tips, Assorted articles through out the SaveaLoonie.com. We however give full trademarks, copyrights, to the respected owners of the logos used within our websites articles/posts. We do not use logos in a negative manner. We do not use logos to promote our own name SaveaLoonie. On some of the great offers we find and share with our readers we sometimes tag the link. We do not do this to affiliate ourselves with the companies. We use link tags as a way for us to track and follow the offers we share with our community. We are no way trying to affiliate our website and services with the offers and companies we post about. We respect all policies, trademarks, copyrights of all the companies we share posts about. If we are doing anything that is incorrect to your business standards and legal standards you are more then welcome to email us at savealoonie@gmail.com and we will work to fix the matter. SaveaLoonie.com will on occasion, and at our sole discretion, use referral links within our content. This is included but not limited to: Affiliate Marketing, Pay Per Placement. SaveaLoonie is a blog in which Ryan & Terra contribute their own thoughts, opinions, and content to be posted on this blog. SaveaLoonie does accept forms of cash advertising, sponsorship, paid insertions or other forms of compensation for some of its content. The paid compensation that is received will never influence the content, topics or posts made to this blog. All advertising is in the form of advertisements generated by third party ad networks in which they control the ad placements and content. You will see various advertising and insertions of these ads throughout the site. 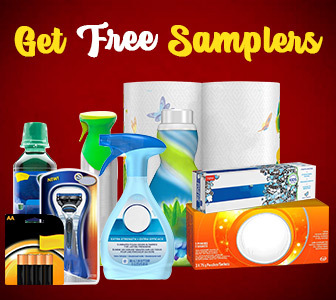 The majority of free samples, freebies, and other free offers we are not compensated for. We do not guarantee you will receive a free sample, coupon, deal, freebie or any other offer posted on our site due to the nature of supply and demand of the particular offer. We are also participants in a number of other affiliate advertising programs as a means of revenue. While every effort is made to ensure accurate information & pricing on SaveaLoonie.com, we can not guarantee it 100% of the time. Please refer to the links provided for complete & up-to-date details. We are not affiliated with any products listed on our site. Trademarks & images are property of their respective owners.